When I've had time to sew lately, I've been spending it on clothing. 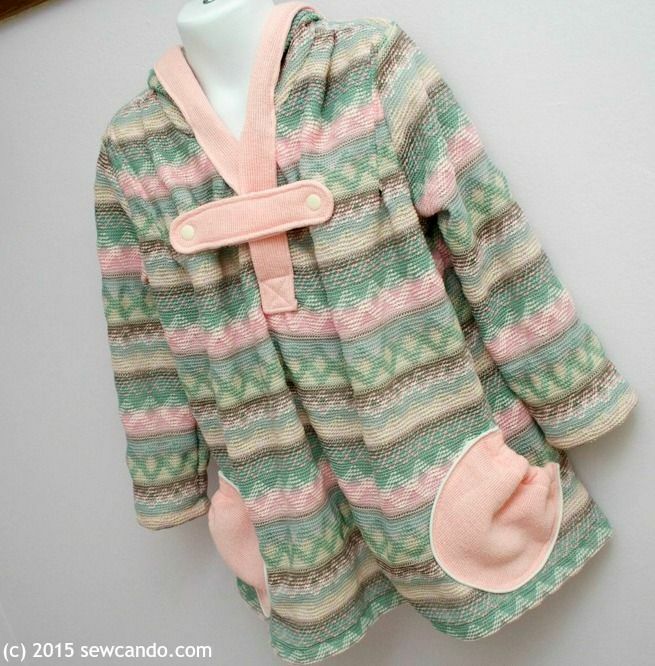 I just haven't seen much cute stuff in stores these days, so interesting patterns have been the ideal solution. 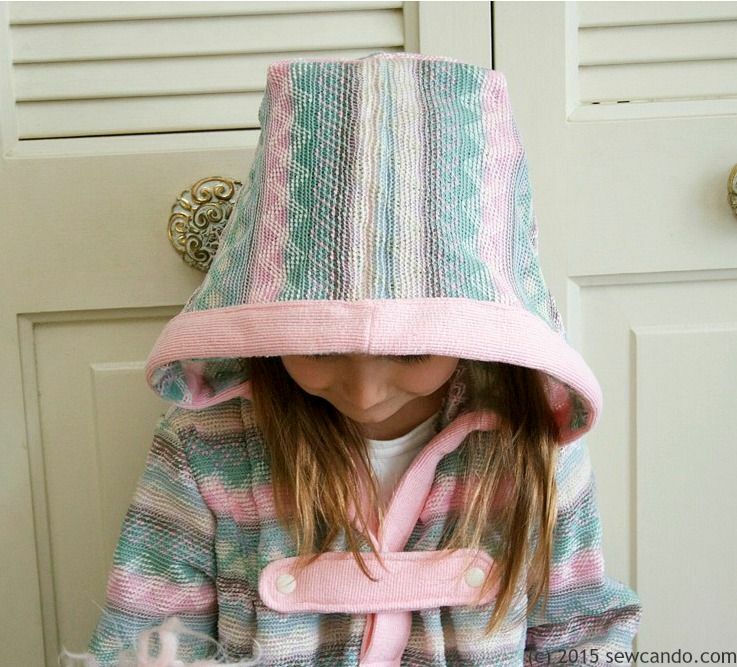 The new girl's Andover Pullover and Jacket Pattern from Terra's Treasures was the latest one I've used. 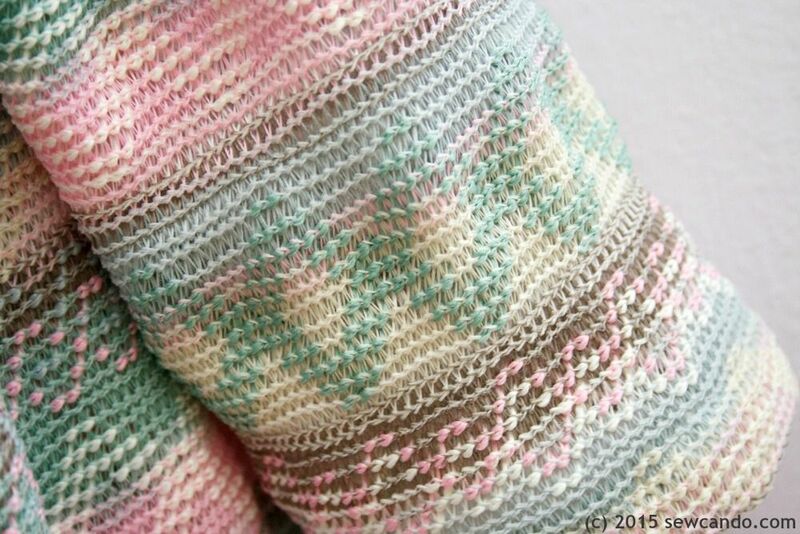 I've used several of Terra's Treasures patterns before the results have always been terrific (part of why I'm proud to have her as an advertiser), so I had high hopes for this one too. I was eager to try this one for several reasons. The first was the versatility of the pattern - you can make a fully lined zip up jacket, a pullover with a lined hood, or an unlined hood. Plus the choice of long or short sleeves. That's a good number of looks, and you can mix prints for fun details, so odds are it will get used again and again. The other thing that intrigued me was the variety of fabrics you can use with it: cotton, corduroy, fleece, wool, stable knits (like interlock), etc. 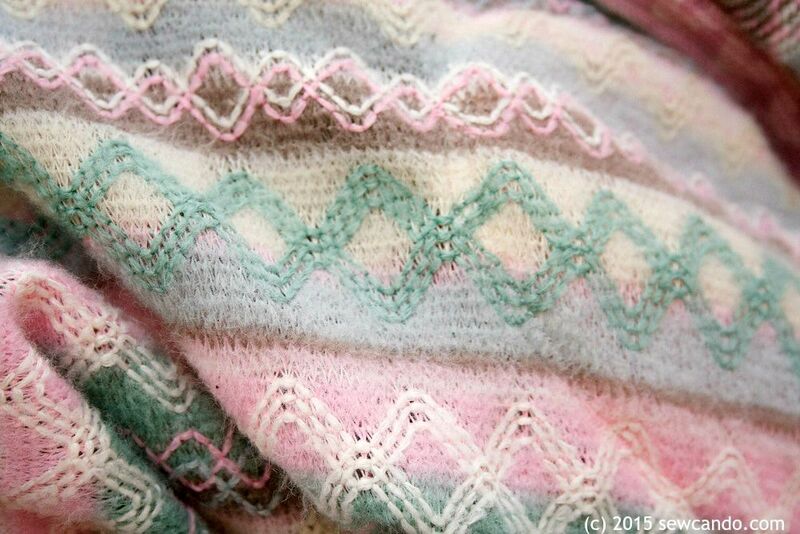 It can be hard to find patterns that work with both woven and knits, so this was a real draw. 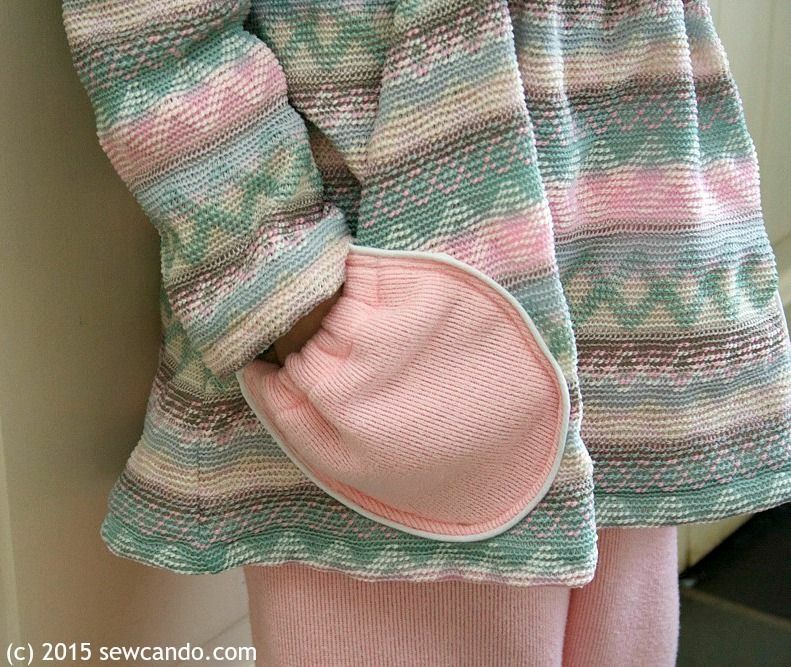 I made the unlined hooded pullover version for mine since my fabric has a fleece-y wrong side. The pattern covers sizes 6 months to big girl 16. I made a size 5. 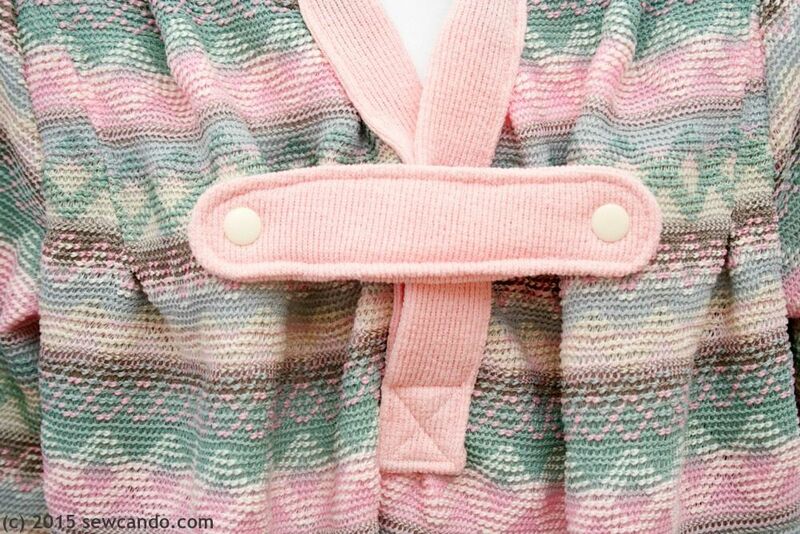 The main fabric I used was an unusual sweater-style knit. I liked the technique included for the placket. It looked complicated at first glance. Truthfully, I was a little nervous about goofing it up. I didn't need to worry though - the instructions made it pretty easy and it turned out really nice. 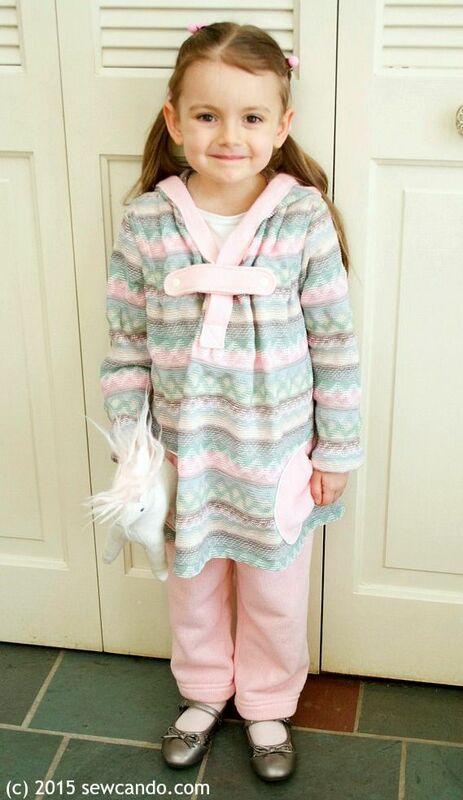 My daughter liked it as much as I did and it matches her favorite stuffed unicorns, so double win:) Definitely a pleasing result, which is a pattern thumbs up. I may try making some others with the lined hood or do the jacket version. It gives me hope that I may actually work through my fabric hoard stash this year. I like that the style works well with whimsical prints like the one above, but also for more classic prints & solids as well. Definitely a pattern to check out! I love your color/fabric choice for this jacket. Your daughter looks adorable in it! It's so darling! Love the design and your fabric choice! I went to her site and tried to order patterns but no luck. 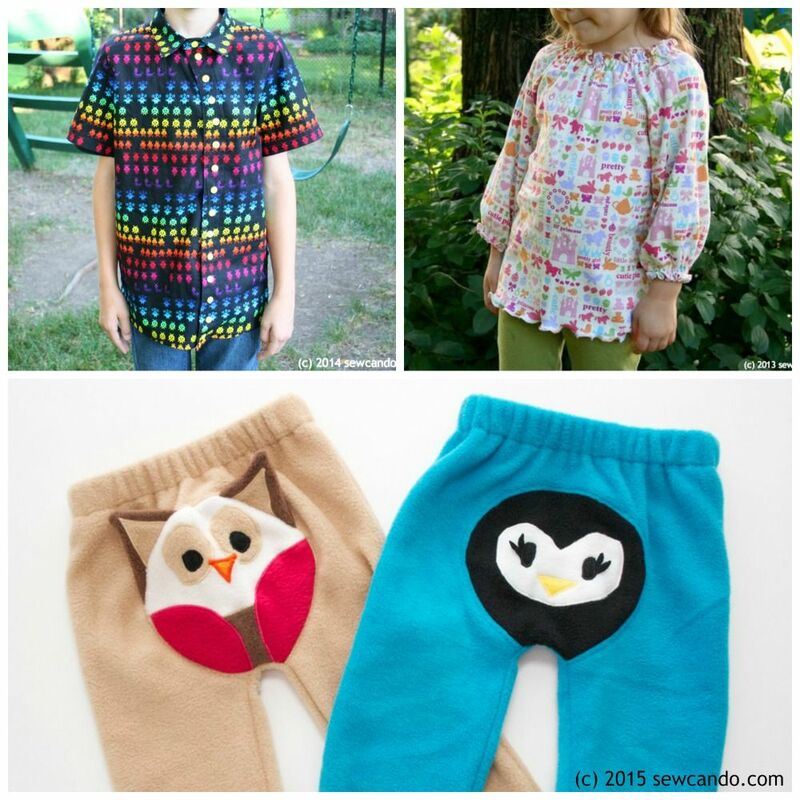 Also, the blog area only have a few entries and it looked like there were some terrific Sew Alongside done but I can't find an archive to follow them. Any clue what I may be doing wrong? Thanks Jackie. I just tried the links in my post to the specific patterns and the ad button on my sidebar and they all worked for me and I was able to add them to my cart too, so you might have been on her blog portion? Let me know if you're still having difficulty and I can email Terra. 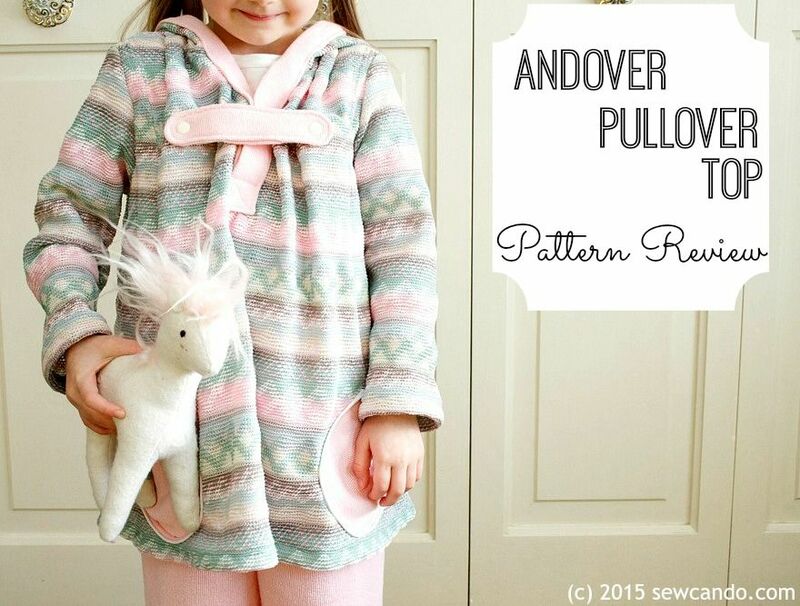 FYI - The Andover Pullover and Jacket Pattern is on sale for $6.95 right now too so it's a good time to grab it. You can also follow Terra's Treasures on Facebook: https://www.facebook.com/pages/Terras-Treasures. Hope this helps and you get a good deal on it! Thanks Cheryl! I emailed her and am awaiting a response. I'll join her FB page too! Happy sewing!!! !